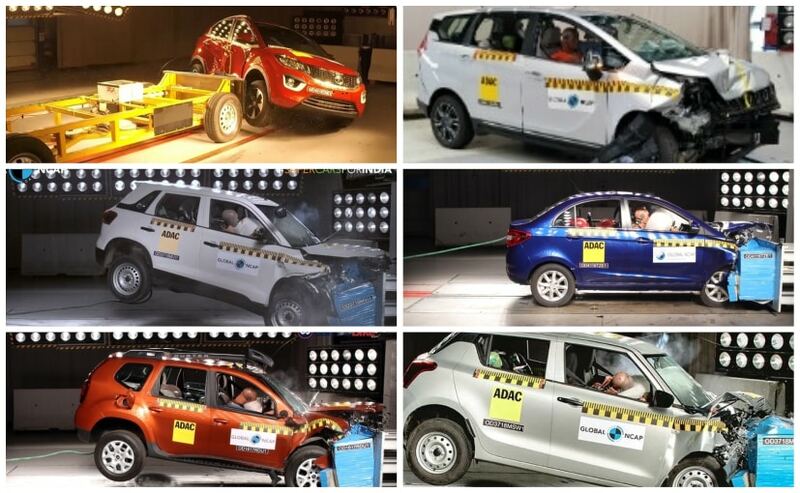 With the Tata Nexon becoming the first ever India-made car to score a 5-star rating, we look back at the journey of India-made cars at the Global NCAP crash tests since the first model was crash-tested in late 2013. It was in 2014 that Global New Car Assessment Programme or GNCAP launched the "Safer Cars for India" campaign in a bid to promote safer vehicles to be sold in the country. 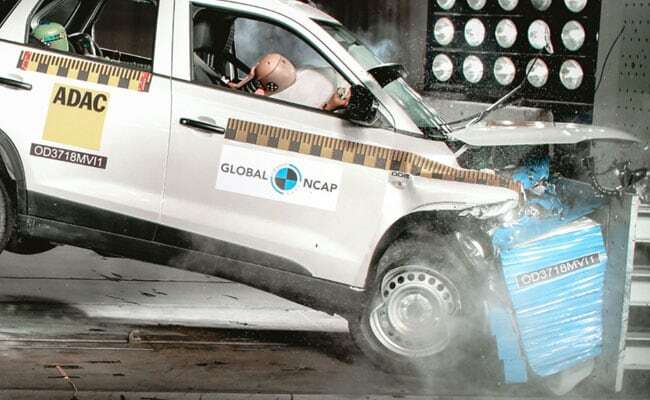 Between 2014 and 2018 Global NCAP has crash tested about 32 India-made cars and has made safety assessments for these as well. Over the last four years, this has played an important role and prompted manufacturers to make safer cars in India, which meet global standards. 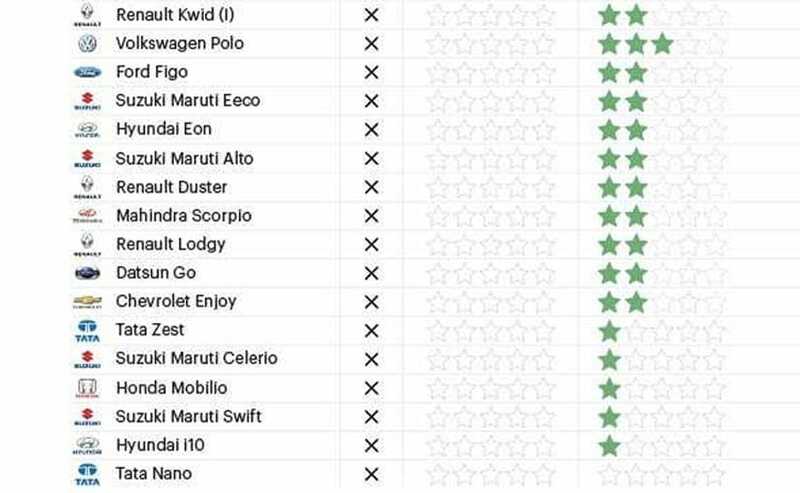 Sure, for the most part, 19 out of the 32 cars tested, have scored zero stars but the Indian automotive industry is slowly beginning to make safer cars and offer better active and passive safety equipment as standard and even as options. One of the first ever India-made cars to be crash tested was coincidentally a Tata, the Nano and needless to say, it did not have ABS, nor did it get airbags and the chassis structure was unstable to put it mildly. In 2014 Volkswagen decided to offer the Polo in India with twin airbags as standard, moving the protection level of this model from a high-risk of life threatening injuries at zero stars, to four (out of five) stars for adult occupant protection. The Toyota Etios too was one of the first cars to get 4 stars, when tested in February 2016. Cars such as Renault Lodgy, Chevrolet Enjoy, and Maruti Suzuki Eeco too failed their respective crash tests. The Honda Mobilio had also received zero stars when it was tested first. But Honda started offering the Mobilio with dual airbags being made standard which led to the car getting 3 stars. More recently, it was the Mahindra Marazzo that got a 4 star rating at the latest round of global NCAP crash tests, becoming the first ever India-made MPV to do so. The Renault Kwid has been tested 4 times and only in the fourth round did it manage to get a single star rating. The Maruti Suzuki Swift too scored two stars in its second round of tests but the Vitara Brezza scored 4 stars in its first crash test, confirming that Maruti is more than capable of making safer cars. 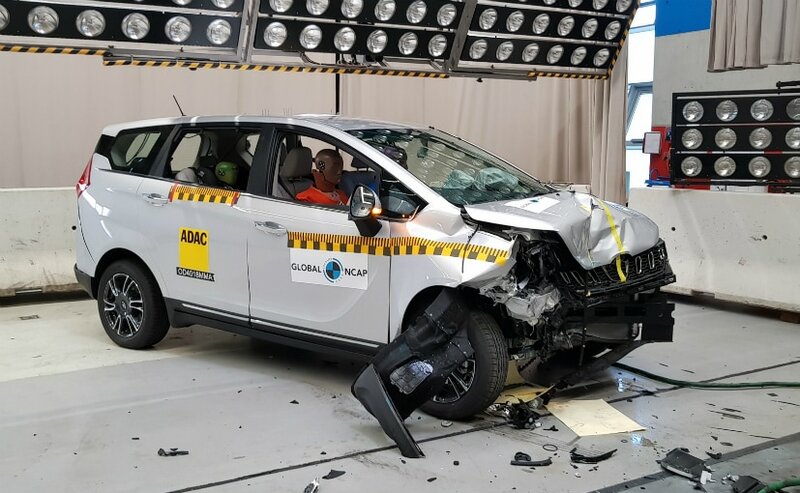 As far as crash tests are concerned, the government mandated law such as the US NCAP, Latin NCAP, Euro NCAP are less stringent than the Global NCAP crash tests. For starters, the Bharat New Vehicle Assessment Programme or BNVAP which will be mandated from next year will need new vehicles to be crash tested at 56 kmph. The Global NCAP conducts its crash tests at a higher speed of 64 kmph and therefore, it is commendable that India-made cars are getting a good score in Global NCAP crash tests. One of the companies worth mentioning is Tata Motors. As mentioned earlier, its first ever model to be crash tested, the Nano, led the company to receive a lot of flak. But since then, the company has come a long way. Following Nexon's four star results earlier this year, Tata has improved a number of safety features including making a Seat Belt Reminder for driver and passenger a standard for all variants of the model. In addition the Nexon was required to pass a side impact test meeting UN95 side impact protection requirements, which it did and scored five stars for adult occupant protection and three stars for child occupant protection. 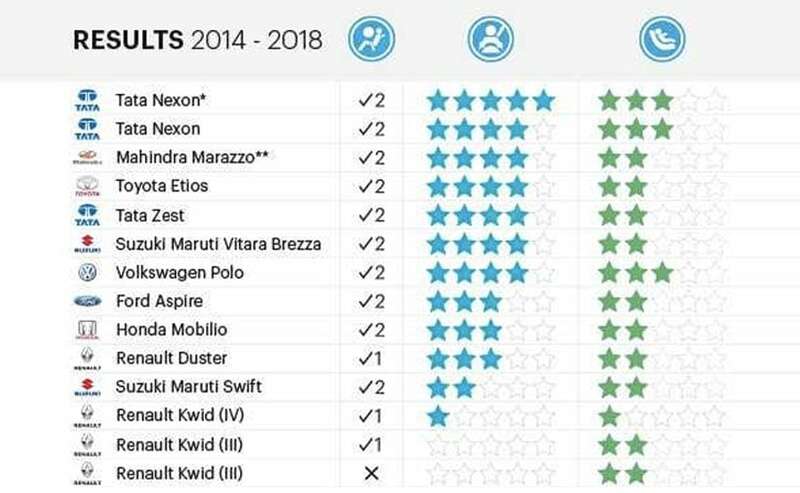 The Tata Zest too has a 4 star rating from Global NCAP and this goes on to show that Tata is committed to making safer, stronger cars for India in future.